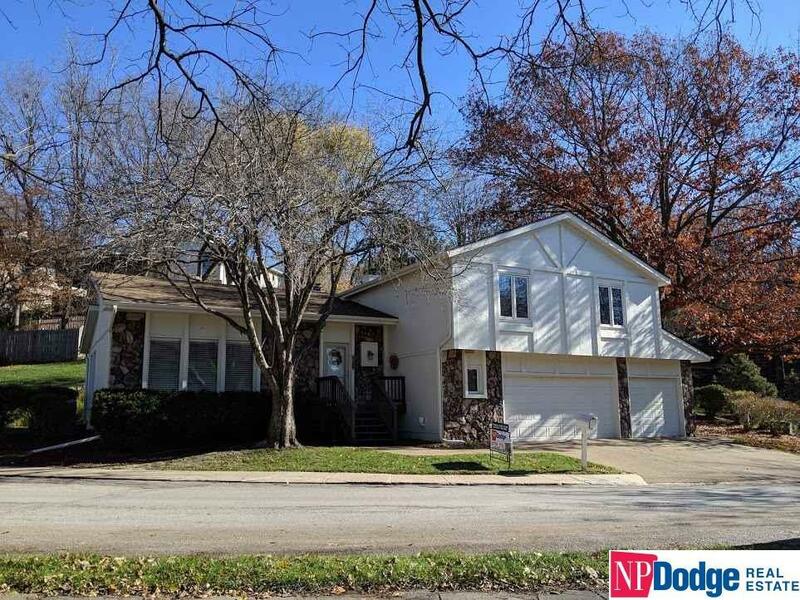 Meticulously cared for 4 BD, 3 Bath, 3 Car Garage in Fontenelle Hills. Spacious rooms, tall ceilings. Gorgeous sunroom extends family room and brings in natural light. Granite counter tops in kitchen and baths. Stainless steel appliances. Replacement windows / doors, roof 2016, Exterior paint 2017. Lusterstone driveway & side walks. Large Mstr with sitting room and fireplace. Unfinished bsmnt provides storage or potential for more sq ft. Sprinkler system. Enjoy the trees, deer, wildlife!